From tonsillitis to swimmer’s ear to loss of your voice; ear, nose and throat specialists, or otolaryngologists, help to medically treat people with conditions and disorders of the ear, throat and nose areas. Do you suffer from a health issue related to any of these areas? If you do, then an Oklahoma ear, nose, and throat specialist will be able to diagnose the issue and offer solutions to fix your problem. What Exactly Do ENT Doctors Do? The Nose: ENT doctors can diagnose, treat and manage any issue concerning the sinuses, nose and nasal cavity. Nose problems may affect someone’s physical appearance, breathing and their sense of smell. The Throat: There are several throat conditions that ENT doctors can diagnose, treat and manage. When someone’s throat is affected, it can impair digestion, swallowing, eating, singing and their speech. 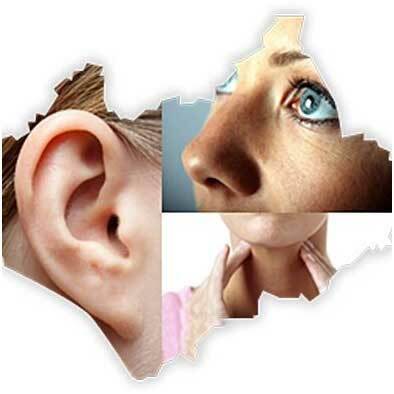 The Ears: Many issues can occur within the ears, such as swimmer’s ear, hearing loss, inner ear and eardrum damage, ear wax buildup, ear pain, tinnitus, infections, as well as various congenital concerns and balance disorders. The Head and Neck: An Otolaryngologist is trained to be a highly skilled surgeon for the ear, nose, and throat and has the medical training to manage trauma, tumors, diseases, and face, neck, or head deformities that require reconstructive surgery. They can treat cranial and neck nerve problems that control facial movements, hearing, smelling and vision. If you have any questions or health concerns that require a referral to a specialist for the ear, nose, and throat area, your general practitioner can refer you to the appropriate Oklahoma Otolaryngology Associates ENT physicians who have over 35 years of unparalleled surgical and clinical care in all disease relating to ears, nose, and throat. We are the largest ENT group in Oklahoma. We will determine the nature of your problem and formulate a treatment plan individually designed to meet your specific needs. Contact Oklahoma Otolaryngology Associates to continue on your journey to healthy living with a dynamic group of physicians who are dedicated to your well-being! Call our Southwest Oklahoma City clinic at 405.759.7600, or check out our website to find the clinic most convenience for you, okoa.org.